Overall, this is the definitive release of this classic record- it is unlikely that it will ever sound any better and comes in a form so expanded as to be the last word on this era of the band. “SBG” is undoubtedly one of the most important releases in the death metal- and even metal- genres. Interestingly, the same could be said for probably at least three further Death albums. Not a bad tally, and one that places the band in the league of Sabbath, Priest, Maiden, Metallica, and so on- albeit arguably only within their own sub genre. The reissuing of Death's seminal back catalogue continues here; the debut in two disc expanded form. The first disc comprises the original twelve tracks in remastered form, while the second disc takes in a further seventeen (17!?) versions of the songs on the record and oddball tracks. 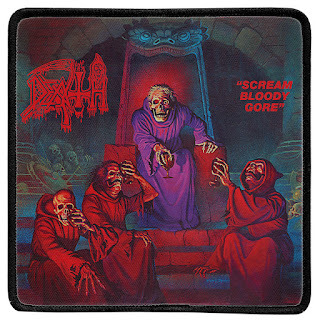 “Scream Bloody Gore” is, arguably, the first death metal album (yes, Possessed have a fair shout for this too, as do Celtic Frost etc etc). It finds the band on feral form, with Evil Chuck's vocals noticeably more brutal than on later releases. 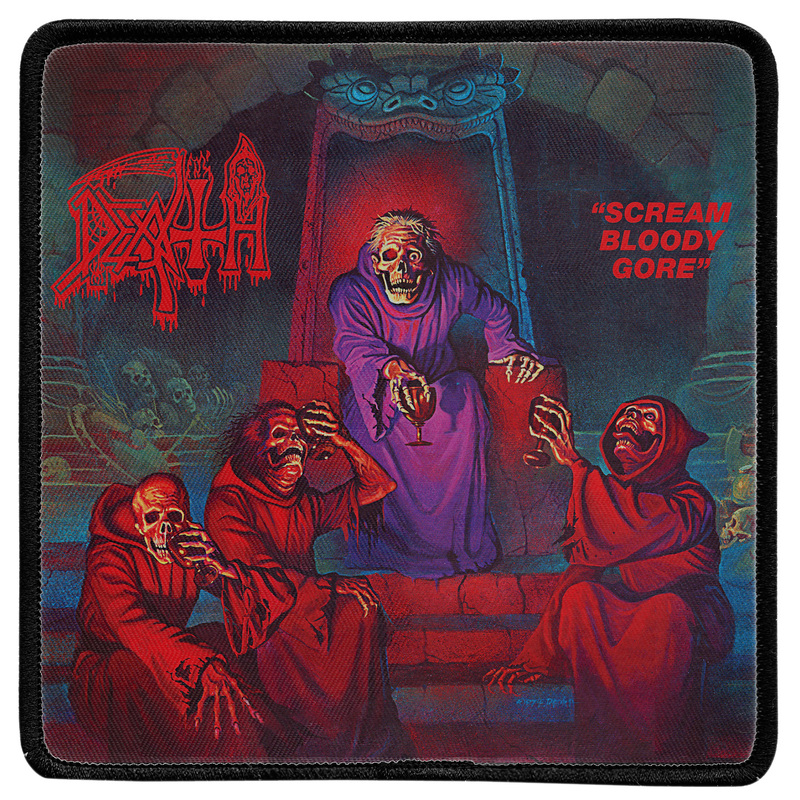 It was certainly hailed as a classic of the genre throughout the 90's, but since that time, Death's latter day catalogue has seemingly overtaken it in terms of reverence. Truthfully, I prefer the later Death albums such as “Symbolic” (when is the remaster and repackage of that holy grail coming out??!) and “Individual Thought Patterns”, but there can be no denying the impact of this one. The remaster sounds great; crisp and live sounding with some tape hiss audible here and there. The thrashing beats are very fast in places (albeit blasts are still away off in the death metal canon). Naturally, you cannot argue with the songs here; “Zombie Ritual”, “Torn to Pieces”, “Baptized in Blood”, “Mutilation...” the list goes on. Each track is an example of early death metal. For contextual purposes, it is important to remember that just four years earlier, “Kill Em All” by Metallica was the most extreme record ever released (the Venom issue is arguable). This is how far metal had come in those years; faster, heavier, gnarlier, more extreme in every way. Things would only get more extreme form here; Napalm Death and the emergence of Grindcore all the way to ultra tech, ultra brutal modern day outfits such as Nile. The groundwork is here, though, in Chuck's guttural vocals, riffs blurring with speed, copious use of double bass drums and so on. The record is not without flaws, of course- the time changes on “Denial of Life” still sound odd to my ears- but the album stands as a classic of the time and of all time. If the album itself is an essential part of every death metaller's collection, what can be said of the bonus material? As is often the case, and as I have written about the Death reissues in the past, this is a completist's dream but a nightmare for fans of hi fidelity audio everywhere. The demo versions are exactly as you'd expect. The oddities such as “Legion of Doom” are well worth a listen if you have the time, though. To go through this with a fine tooth comb to look for differences in songs between demo and album is a luxury that I cannot really afford at this point, but for big fans of the band and album it could be a rewarding exercise. The inclusion of two rehearsal snapshots of “Do You Love Me” is at best mildly diverting.